Hershesons, London’s leading hair salon and “anti-salon”, Blow Dry Bar offers spiffy signature chairs and wash-sinks as well as stylists across the area are doing wrist exercises to prepare for their auditions. It’s almost time. 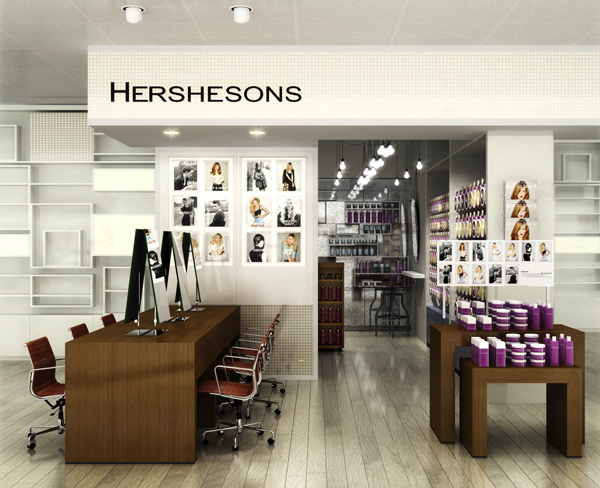 Hershesons Blow Dry Bar is an innovative concept created around a very simple idea: No cuts. No color. Just blowouts. Only 25£ for 30 minutes. One flat fee, regardless of hair length or thickness. (And, yes, that includes wash and shampoo. The Blow Dry Bar concept swept through London like, well, there are all kinds of clever metaphors (a wildfire? a viral video? a bona fide sensation?). Anyway, the Hershesons team is better at making women look and feel gorgeous than they are at concocting metaphors. They’ve done hundreds of thousands of blowouts, and are now ready to bring their own brand of affordable luxury to Selfridge’s on Oxford Street alongside their other locations around London. What could be better than escaping from the hectic pace of your world and slipping into a comfortable seat, watching your favorite movie, sipping on something bubbly, catching up on text messages, and walking out with that drop-dead gorgeous hair that only celebrities should have? Nothing could, that’s what.